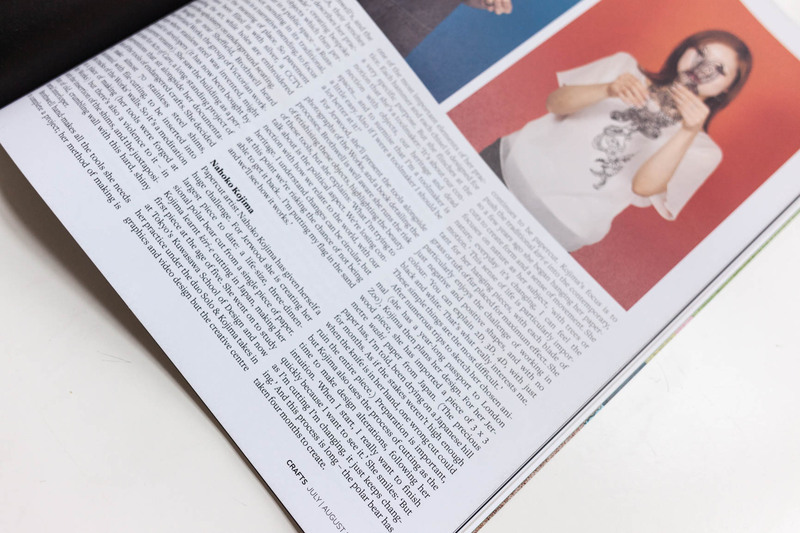 Korean Fashion Journal, Avenue L Magazine interviewed Nahoko Kojima in South Korea, and covered questions of inspiration and process. The feature included a photoshoot with the Artist on-site in Seoul with her Bridal Art work for BVLGARI. Nahoko Kojima Voted Top 5 by over 290,000 Americans. Nahoko Kojima showed A Series of three Handmade Japanese Paper Cut Sculptures for ArtPrize 2014. Interview of Nahoko Kojima directed by Michael McGlinn for Arte Television’s programme, Metropolenreport. It aired on Sunday 27 April 2014 at 16:50 as a simultaneous German/French broadcast. 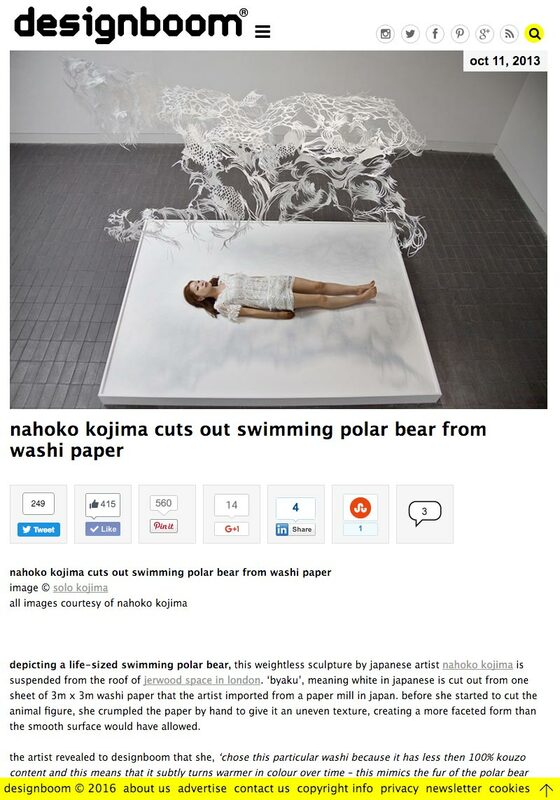 designboom Feature; Swimming Polar Bear from single sheet Washi Paper. Nahoko Kojima Independent Feature: In the Studio by Karen Wright. 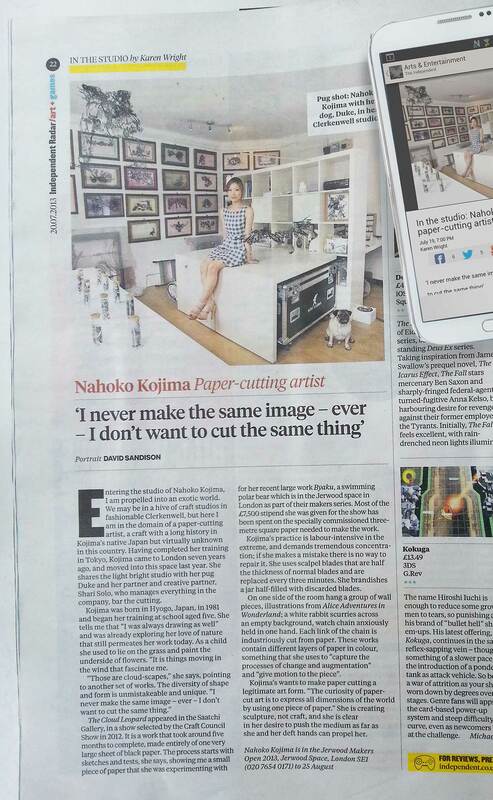 Feature in the Independent Newspaper on Nahoko Kojima’s Paper Cut Art practice in London. 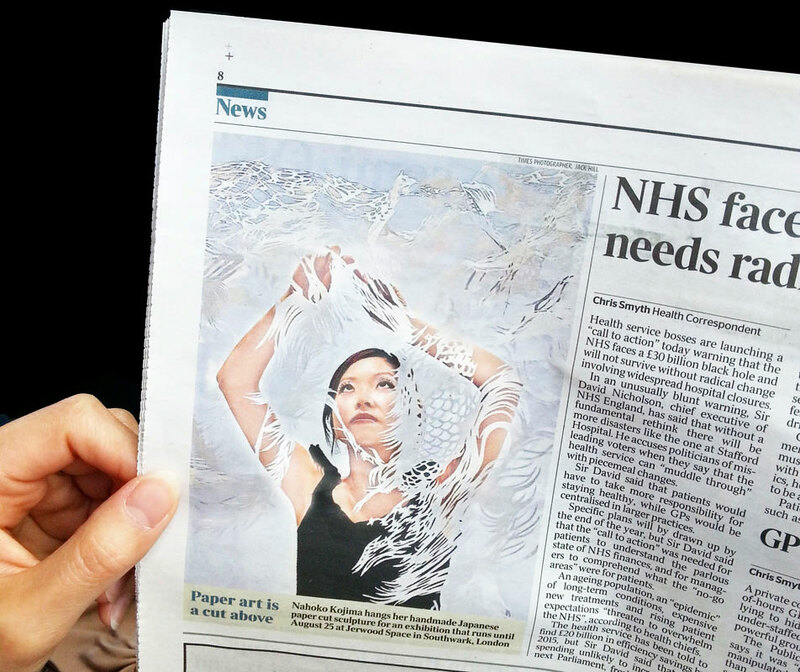 Times Newspaper Article featured an article about Nahoko’s papercutting sculpture show in London of Byaku with a photograph shot in her studio. 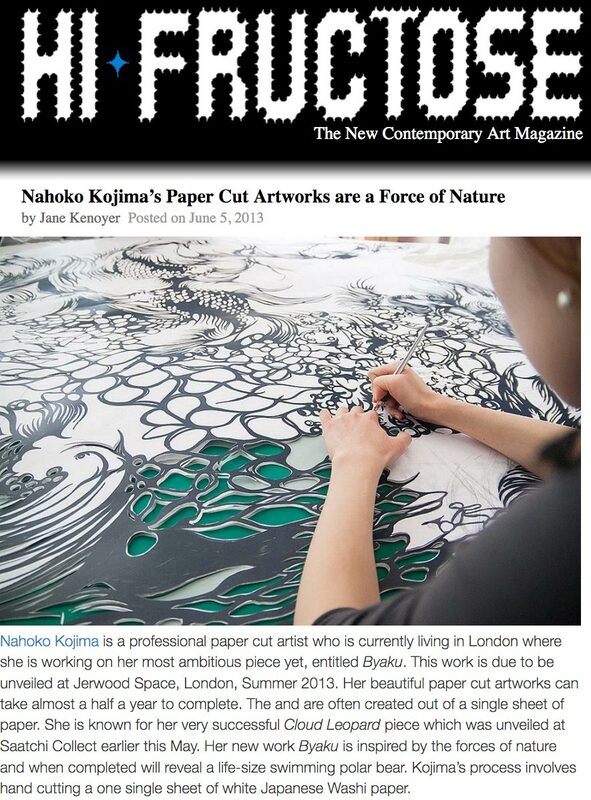 Feature on Nahoko Kojima’s Artworks by HiFructose Magazine. 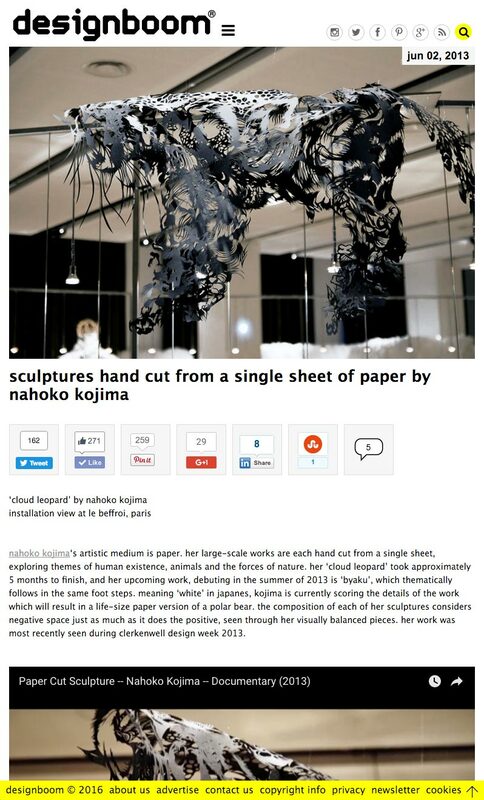 Colossal: Sculptures Hand-Cut from Single Sheets of Paper by Nahoko Kojima. 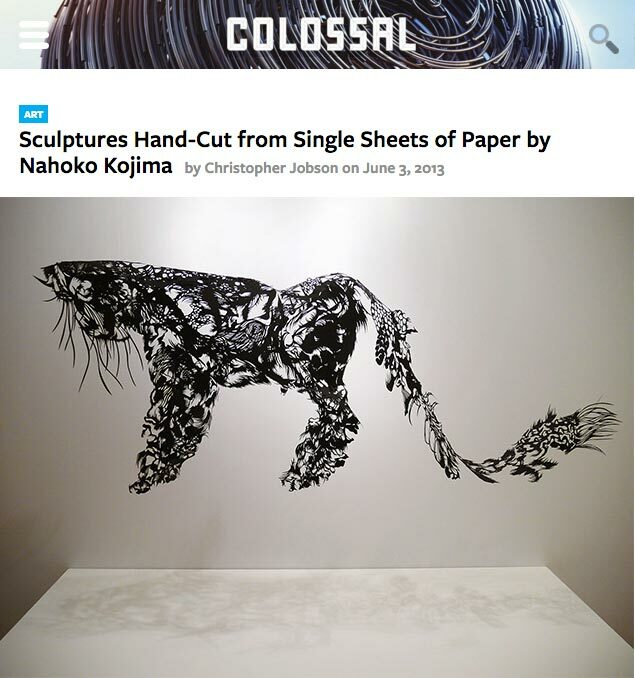 Colossal: Sculptures Hand-Cut from Single Sheets of Paper by Nahoko Kojima. 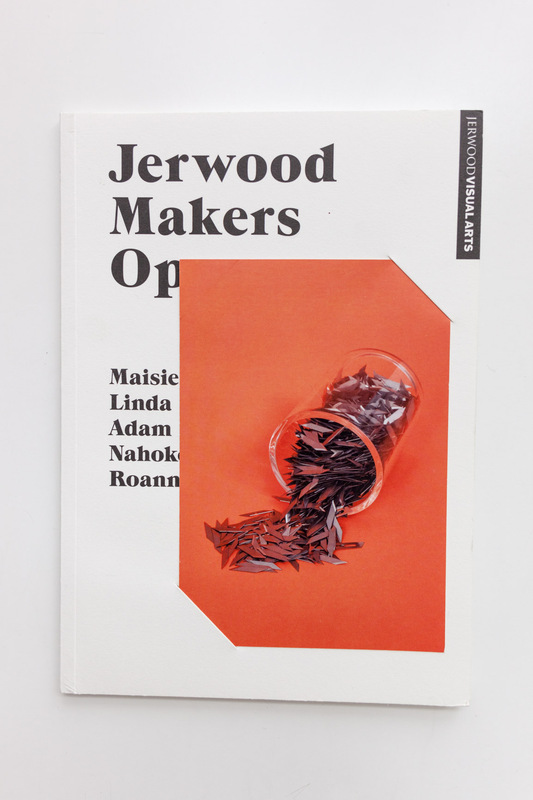 Article by Christopher Jobson. 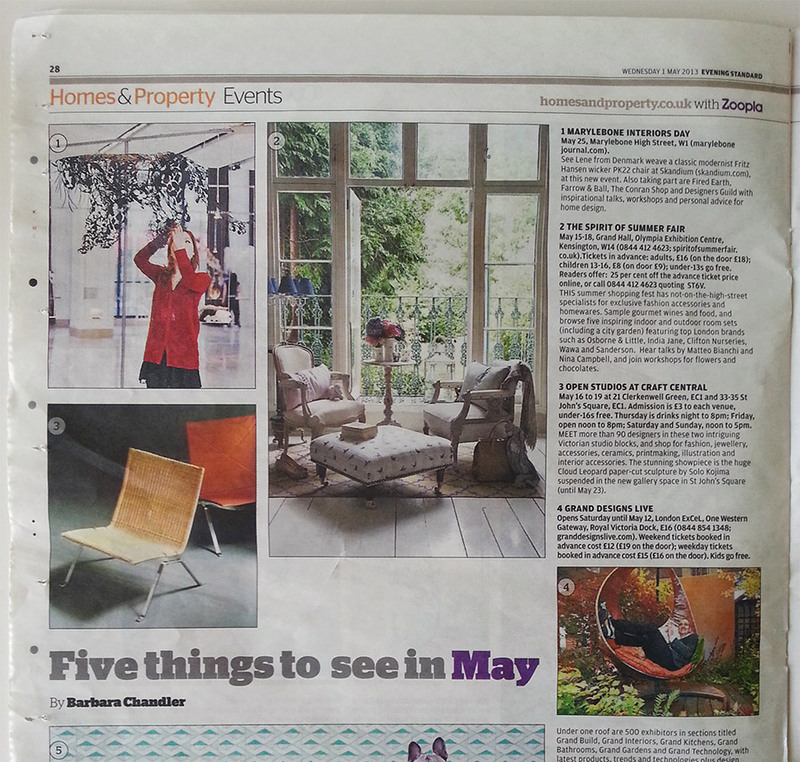 Feature in the Evening Standard on Nahoko Kojima’s Paper Cut Art Open Studio event as one of the top 5 things to do in May in London. 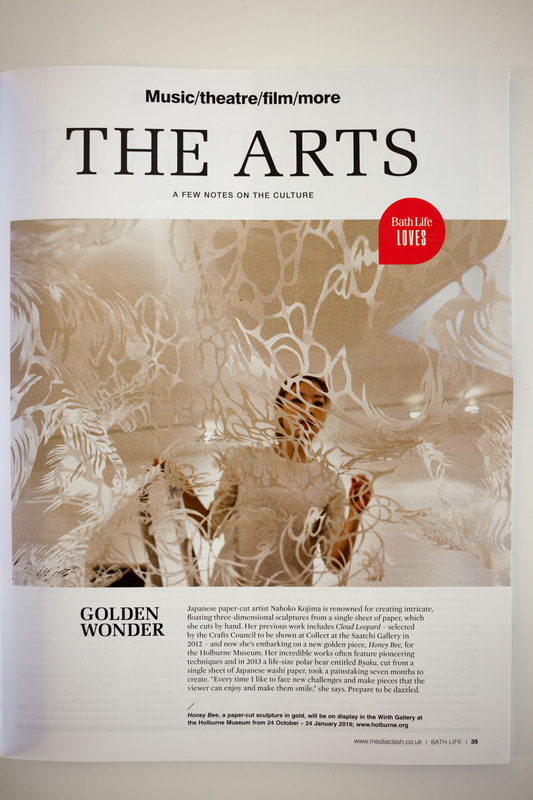 The popular UK magazine, Crafts, wrote a feature on Nahoko Kojima at Collect 2012 including an interview by the Artist. She discussed the challenges she faced in creating the iconic Cloud Leopard Paper Cut Sculpture. 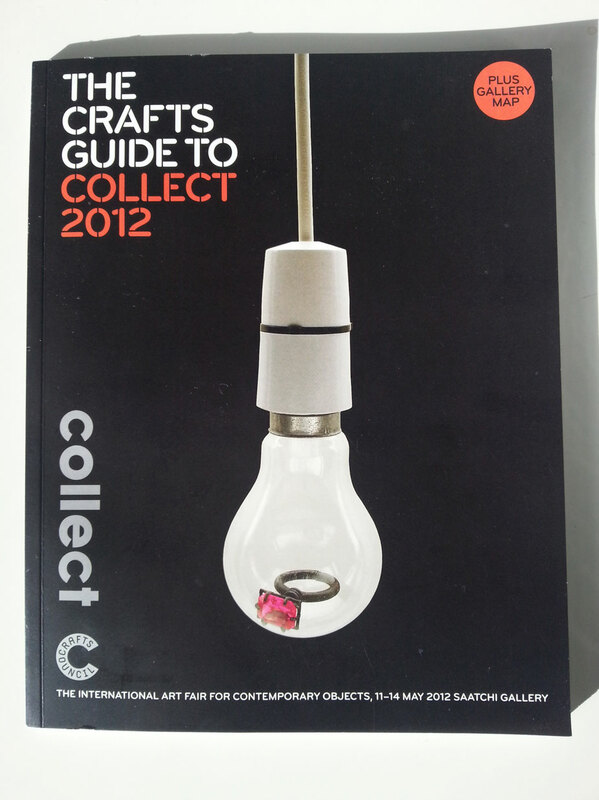 Nahoko Kojima was awarded the Project Space Artist for Collect 2012 and this is the Show Catalogue featuring the Artist. 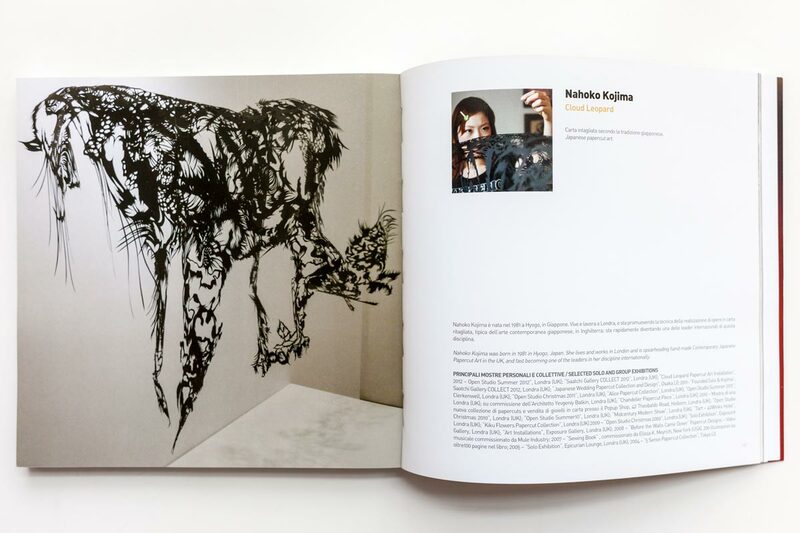 Nahoko created a new type of Paper Cut Sculpture by unveiling the hugely successful and iconic Cloud Leopard at this Show at the Saatchi Gallery. 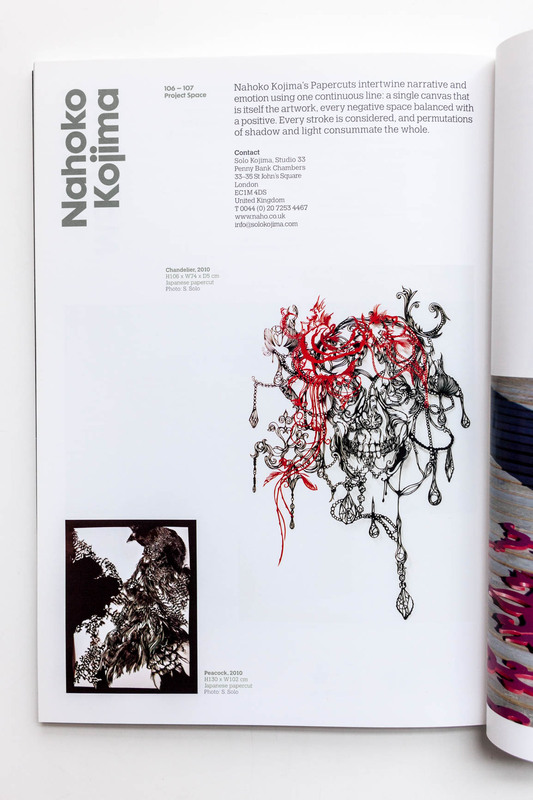 Interview with Nahoko Kojima in Craft Council’s Collect 2012 Programme Book. 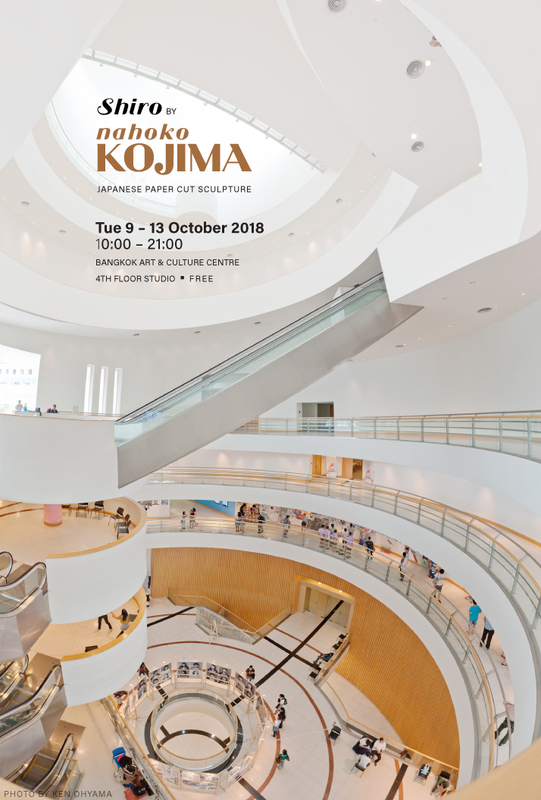 This was the year that Nahoko’s monumental Cloud Leopard Sculpture was unveiled, redefining traditionally accepted limits of Paper Cut Art.